Home / hair / relaxed / Do Wash Days Really Need to be All Day? 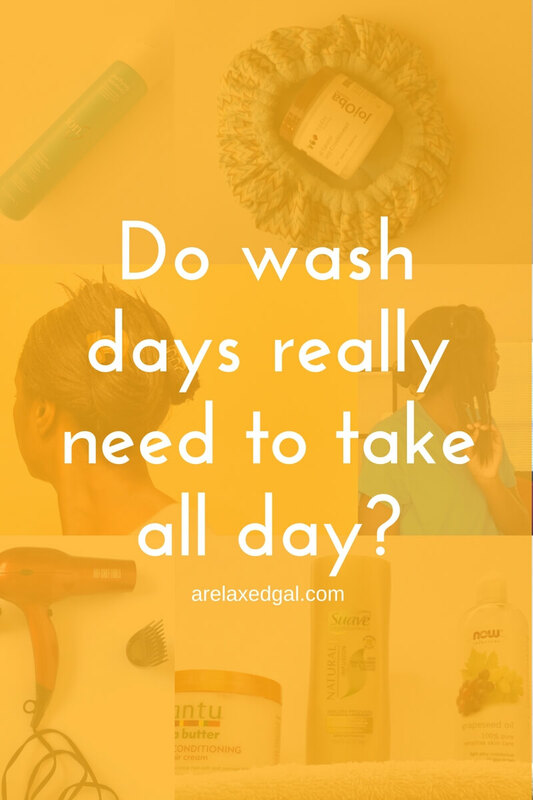 Do Wash Days Really Need to be All Day? When I made the decision to take better care of my hair, the first place I went was the internet. 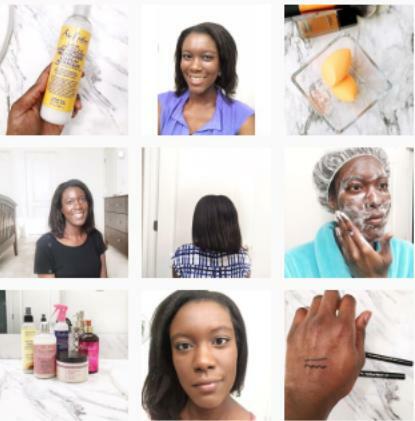 I used search terms such as 'healthy relaxed hair' and 'taking care of relaxed hair' to see what recommendations, tips, tricks and products I could find. What I found were several posts and videos with women who took several hours to all day to wash their hair with beautiful results. The funny thing is I think my hair is in the best shape it's been since I shortened my wash days. While I think doing all those steps and taking extra special care of my hair during wash days was needed in the beginning of my hair journey I don't think it's necessary with the progress I've made. So shorter wash days are here to stay for the time being. How long do your wash days take? Wash days need not to be long. I like it short, uncomplicated steps and quick styling. What are your wash day step? Thanks for reading. When I was in the thick of really being healthy with my hair it would take at least three hours but could take overnight for my hair to dry on rods. Most recently as wash days have been after my hair comes out of my twists I actually haven't been doing the full day thing but it still takes a few hours. I'll see how long it takes after these come down again and I'm mostly tending to my hair out of a protective style. That may be a while though. Protective styles are the business lol. Protective styles are great! Thanks for reading.